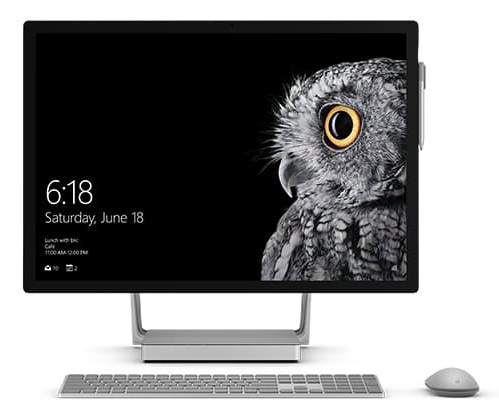 As expected, Microsoft has announced its brand new Surface Studio all-in-one PC, as well as a refreshed Surface Book. Here is the complete break down of their specs, features, release date, and price information. Ever since the release and subsequent evolution of the Windows 10 platform, Microsoft has made it clear that it will no longer play safe in its attempt to revitalize its business and marketshare. The Surface Studio is testament to that philosophy and as had been rumored, comes sporting a whopping 28-inch display, dressed as a desktop PC but, wait for it; can be leaned to 20-degree drafting angle. As for Surface Book, last year’s model was indeed a refreshing product for the laptop/tablet hybrid category, and this year Microsoft gives it even more power by upgrading the internals. 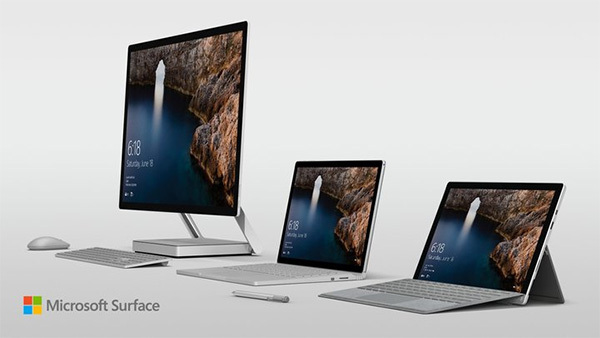 With excitement levels pushing peak, especially for Windows users, here we take a closer look at both of the new hardware announcements from today, the all-in-one PC Surface Studio and the laptop/tablet hybrid PC Surface Book i7 by Microsoft, in detail below. The tiny box attached in the center basically packs all of the components that powers this computer. As mentioned earlier, the display can be leaned back to an angle allowing that beautiful 28-inch display to lay down nearly flat on the desk. 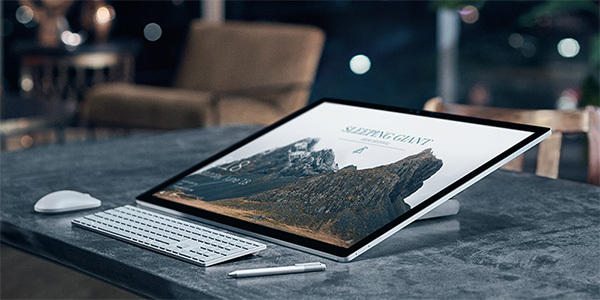 This, in combination with Surface Dial and Surface Pen accessories, allow creators to interact with the display of this size on a PC like never before. 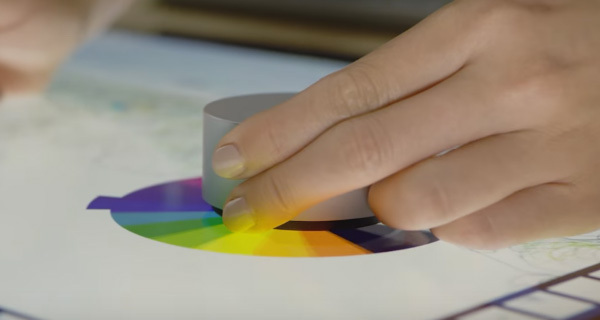 The new Surface Dial accessory (bought separately) in particular brings contextual controls and functions alive on the display, complete with haptic feedback. As for what is powering all of this, the top of the range Surface Studio packs a crazy 32GB of RAM backed by an Intel Core i7 processor. As far as storage is concerned, you get a 2TB Hybrid SSD in this particular model. All this is backed by a 4GB GeForce 980M GPU. For connectivity, there are 4 USB 3.0 ports, an Ethernet port, Mini DP, and a 3.5mm audio jack. The Studio also has a built-in SD card slot. Surface Studio comes with a “mic array” as well which allows users to invoke and speak to Cortana from across the room. Microsoft is also throwing in a Surface Pen, Surface Mouse, and Surface Keyboard as part of the package. The Surface Dial, as mentioned earlier, is sold as a separate accessory for $99.99. Surface Studio can be pre-ordered right now, with release date set for 15th December 2016. As the name says it all, this is a refreshed Surface Book which now comes packing with an Intel Core i7 processor, delivering up to 2x graphics performance over last year’s Surface Book model. 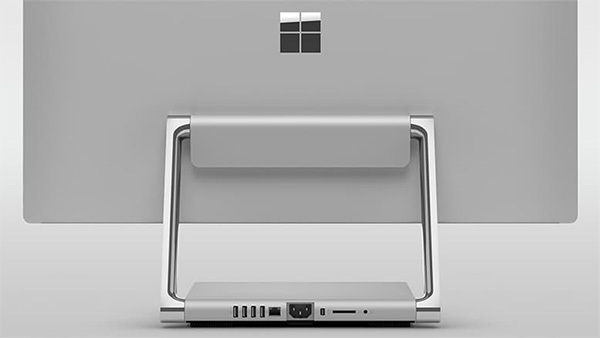 Microsoft says that it redesigned the Surface Book this time from the inside to include a redesigned thermal system and a larger battery. This larger battery now keeps the machine running for 16 hours, which is 30% more than the original Surface Book. Surface Book comes bundled with the Surface Pen. 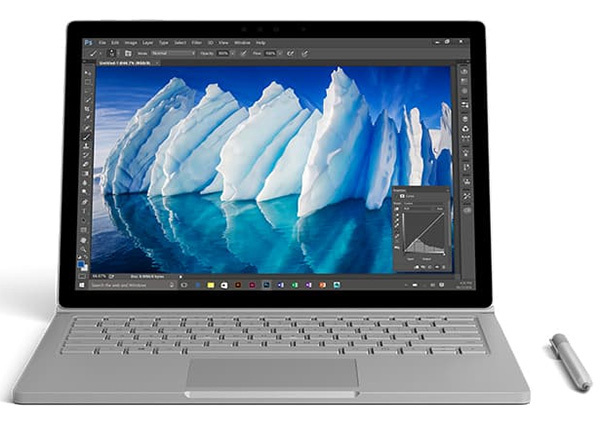 The Surface Book i7 is available for pre-order starting today and is set for release on 10th November 2016. Awesome, and awesome, buut.. These prices are getting redonkulous. I want freakin GAMER machines that don’t cost that much!! MSI/Razer/Asus, all have laptops that are sporting the newest GTX 1080 (non-mobile version) video cards for less than these amounts. I’m a die-hard MS guy but I won’t trade logic for a brand. Totally not like Apple ! That’s BS. The fully loaded Surface book i7 price is $100 more than Macbook Pro ($3,199) I have 15″ Macbook Pro I bought and a Surface Book for work and I enjoy the Surface Book so much more! I just had to get over myself and the desire to be in the “IT” Apple crowd to truly see it without the Jobs Reality Distortion Field getting in the way. Yeah I know what you mean now, I misread your post before. I still build my own gaming PC’s (doesn’t help if you want to go mobile though). I was able to build a nice machine for around $1,500. It plays Overwatch, Elder Scrolls and The Witcher without any issue. It is expensive and so are them MacBooks. What’s Jobs Reality Distortion Field got anything to do with it? Fantastic. Love the video and the music, that was epic and deserves an Award. The hardware looks pretty nice , and knowing the build quality of the current Surface Books, this will be a high quality built machine. What i look forward to is Microsoft’s continuing evolution of their OS, because Windows 10 on that beautifully designed machine and all its functional designs seem a bit out of place and comings but short. As someone who uses linux, openCL and vulcan, I disagree. Microsoft said it wanted to help gamers. a bit squarish and angular but beautiful nevertheless. So, new failed Microsoft’s hardware like the Suface “iPad/MacBook killer” that managed to sell ~700,000 devices in last quarter while the Surface Book sold a couple of thousands. Once you get into that price range does $100 really matter? Your still going to a ton of money. Too bad Microsoft doesn’t put the same effort into Windows Phone.